From Athens we caught a train to Thessaloniki. Travel forums on the net suggested that a bus was a better option but talking to the locals they suggested a train was preferable because you could move about and there was more personal space. The locals were right, the train trip was more than just ok. 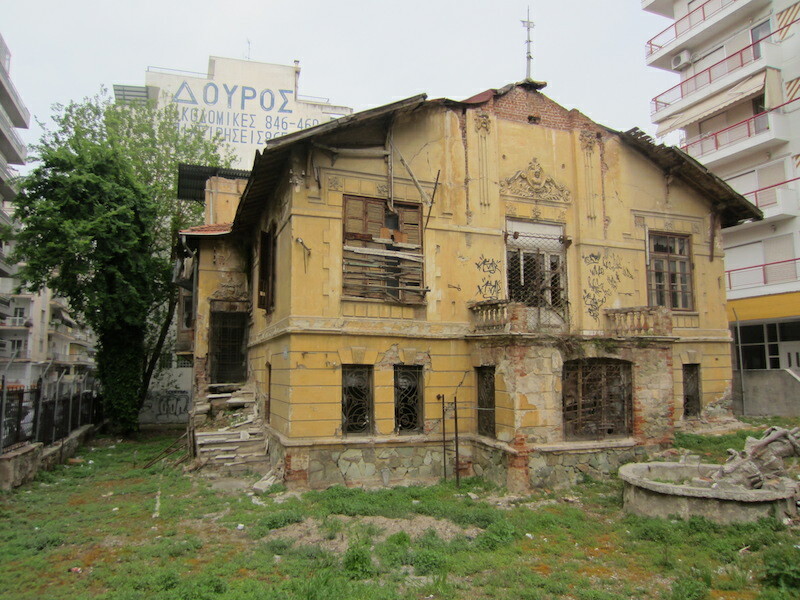 This visit to Thessaloniki is our fourth. 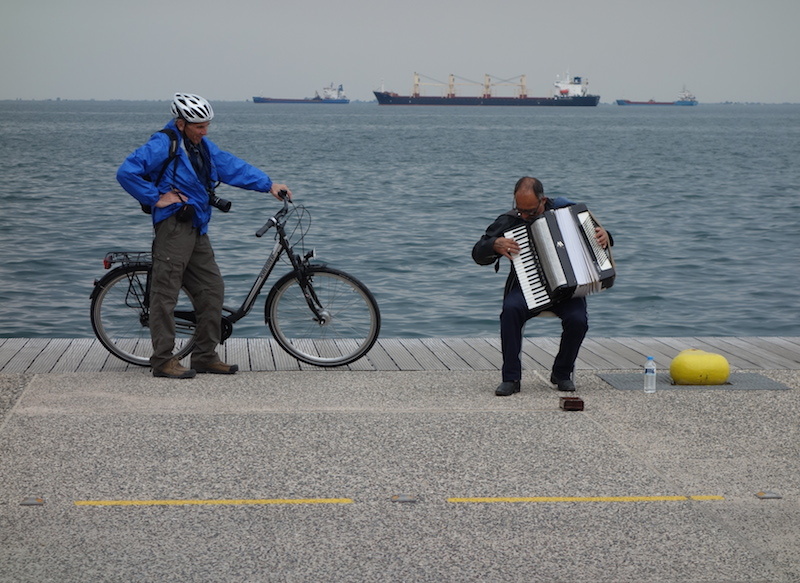 The most recent visit was during our 2012 Encountering the Past Odyssey (I wrote extensively about it then) so this time I’m going to write mostly about the wonderful Thessaloniki boulevard running along the foreshores of the city. The boulevard is about six kilometres long and is a shared area with bike riders, walkers, dogs, joggers, buskers and fishermen all out doing their stuff from dawn to well after dark. 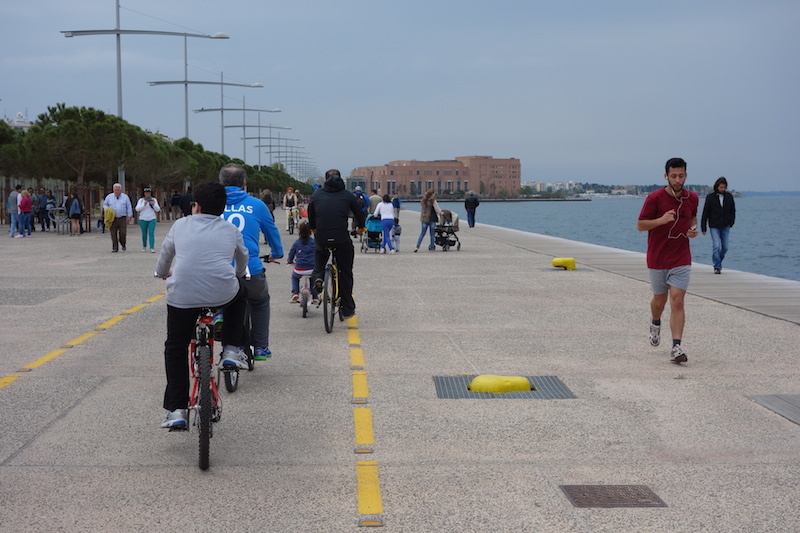 Thessaloniki Boulevard. The building in the distance is the Concert House. 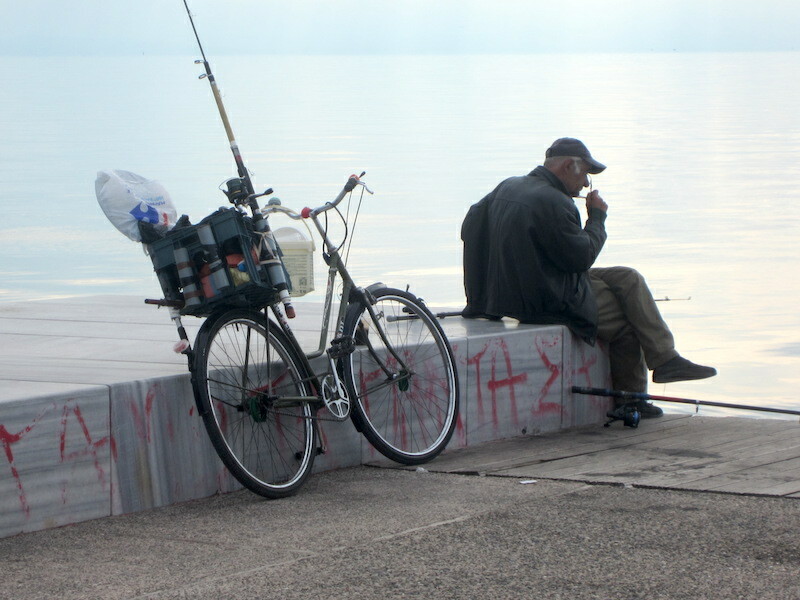 Fisherman and his specially equipped fishing bike. Every time Bev and went to the boulevard this young bloke was there. If unemployed and there is no prospect of a job on the horizon I suppose going fishing everyday would be a way to pass the time. 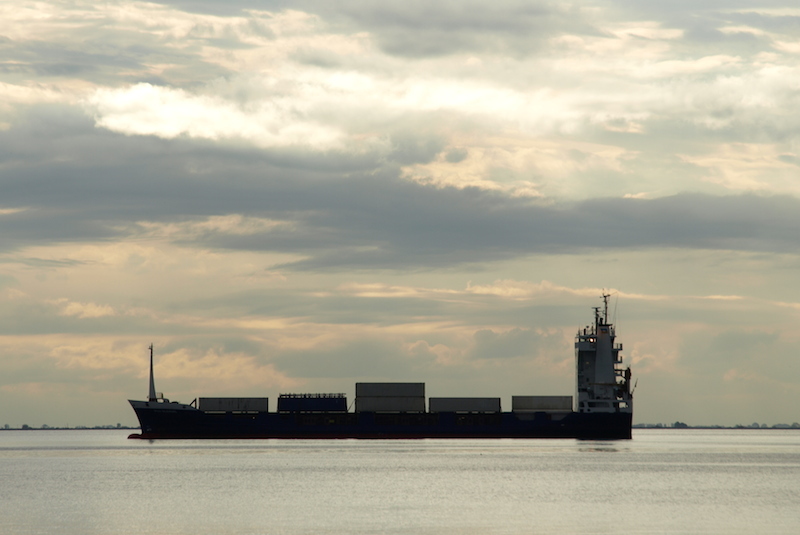 However one would have to give serious consideration to whether the fish should be eaten as pollution in the Gulf of Thessaloniki is a serious problem, not only from land-based pollutants but from contaminants related to shipping, such as Tributyl tin, leaching directly from ship paints into the water. Catching sardines. 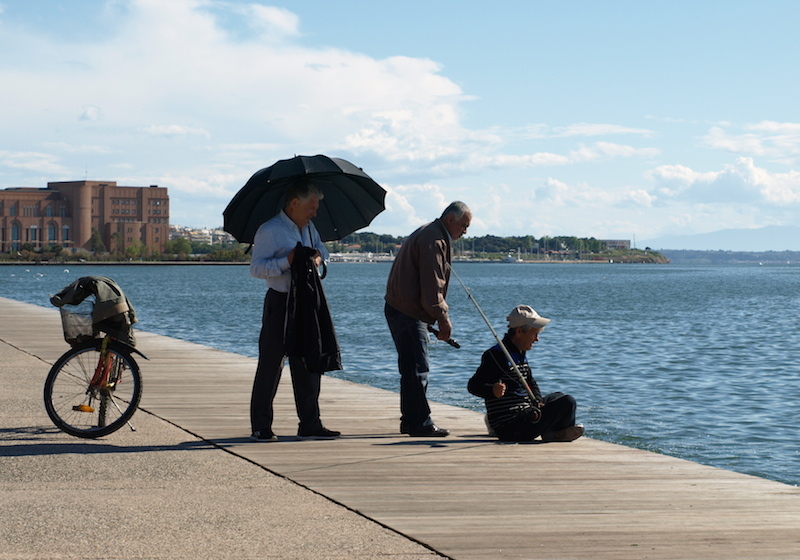 The two gentlemen standing were encouraging the fisherman to keep at it. The following photograph shows a very specialised bike. It had lights galore and the owner was very proud of his creation. I would like to have seen it at night. Close up of the bells and whistles bike. 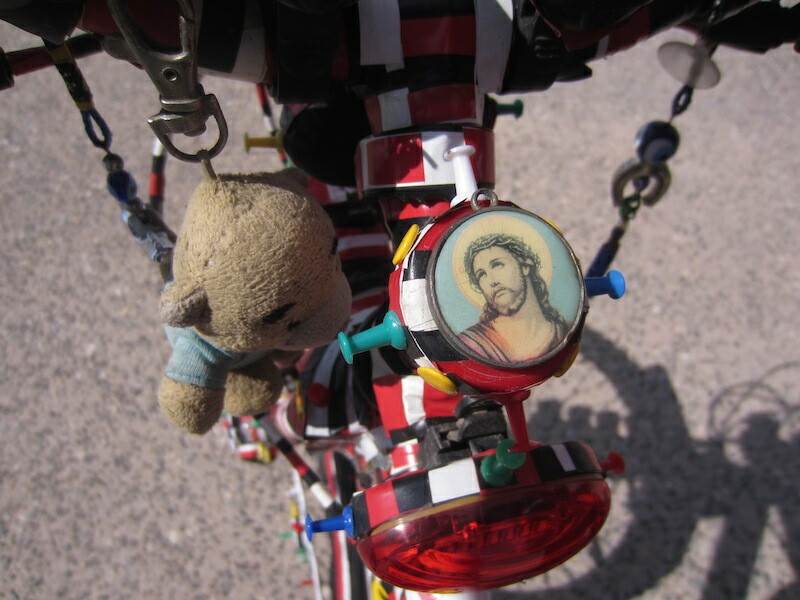 Protector Jesus and Tbear’s Greek cousin hitching a ride. Creative stainless steel mesh umbrella sculpture along the boulevard. Giving Alexander the Great and his stead a lift on my helmet. 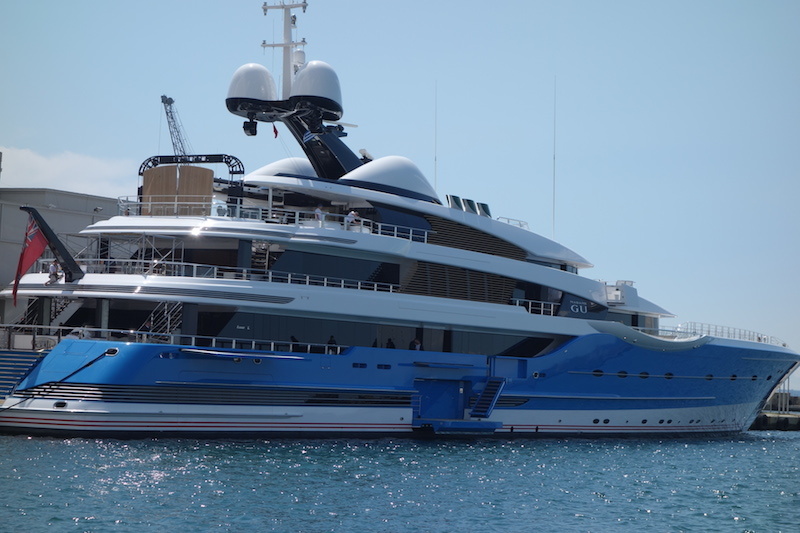 At the city end of the boulevard the big boats come in: ferries, cruise ships, private vessels and cargo ships. Luxury cruise ship from UK. This would make a very acceptable home on water. Probably an inter island container ship. 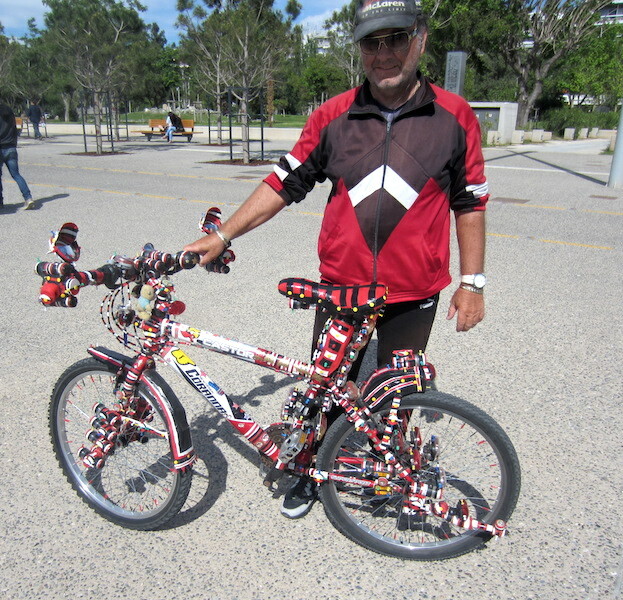 A bike oddity at the port. The bike was securely bolted to the signpost and why it was there remains a mystery. This may well remain one of life’s little mysteries. There is no mystery as to why this building is in such a bad state. It’s because the law states that certain historical buildings cannot be demolished, thus the owners let them sit until they collapse. A very dangerous place to wander into but people do, mostly youth with spray cans and the homeless looking for a place to bed down. 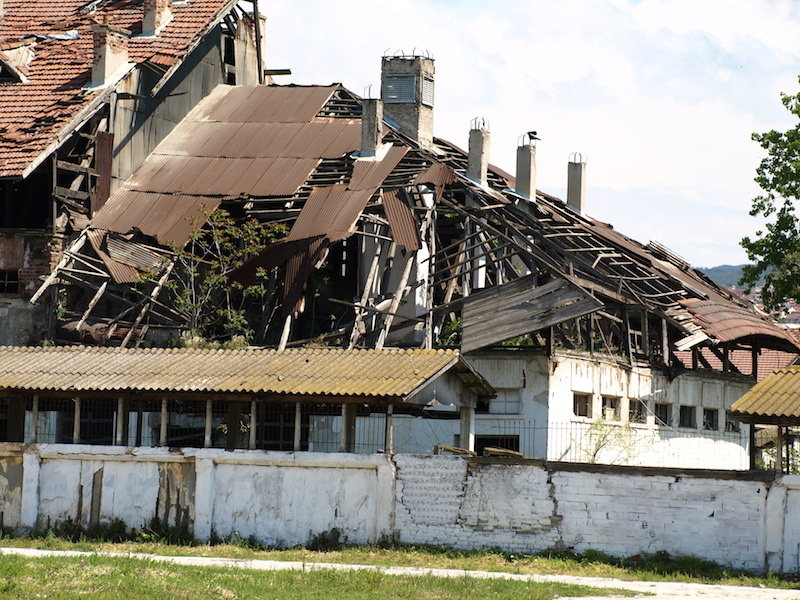 Another historic building in decay. Note the collapsed fountain (right hand side of photograph). This house once belonged to a wealthy family but now it belongs to the pigeons, cats and, I dare say, those who sleep rough. It would have been very grand in its day. 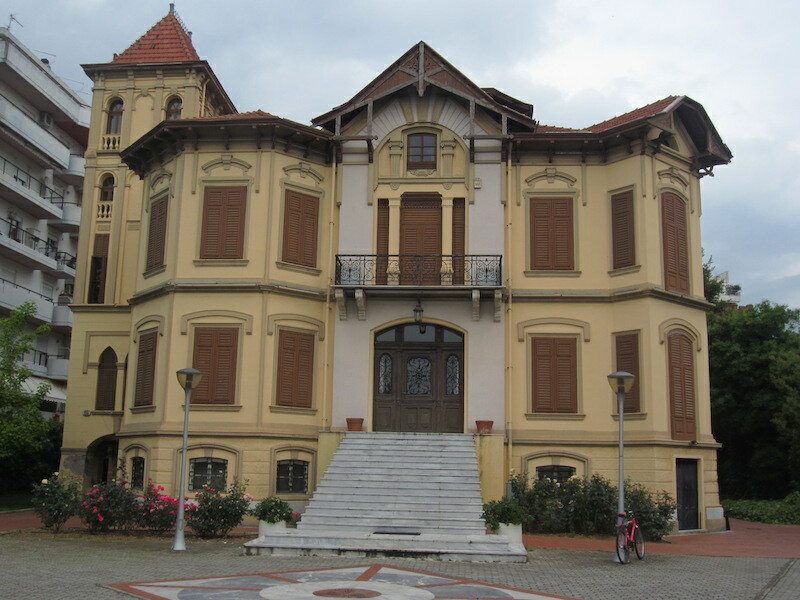 A well-cared for historic house. Old and new. No cars parked out the front, just a bike! There is something lifeless about this house. The new apartments are on the left. 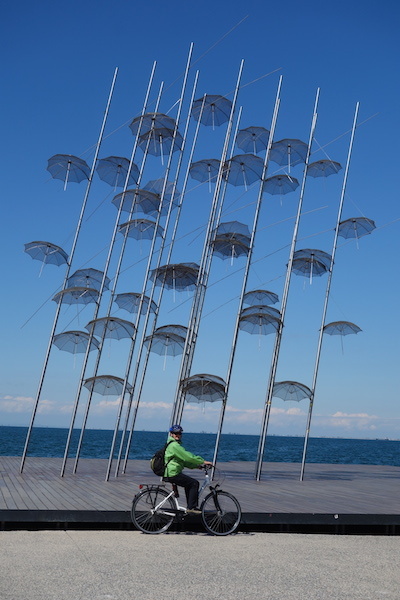 Riding bikes all day wears one out and I think the Thessaloniki authorities recognise the fact so they have installed some pretty comfortable places to rest. We lunched on the bench in the following photo and watched the world go by. 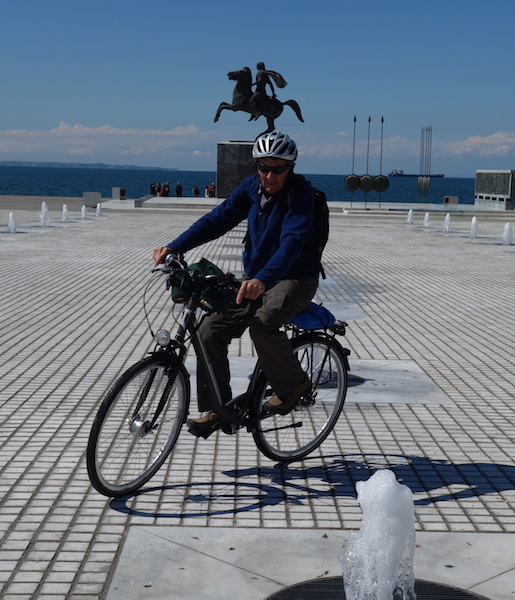 The bikes we rode in Thessaloniki were hired from Action Bike Club and Giorgos looked after us well. 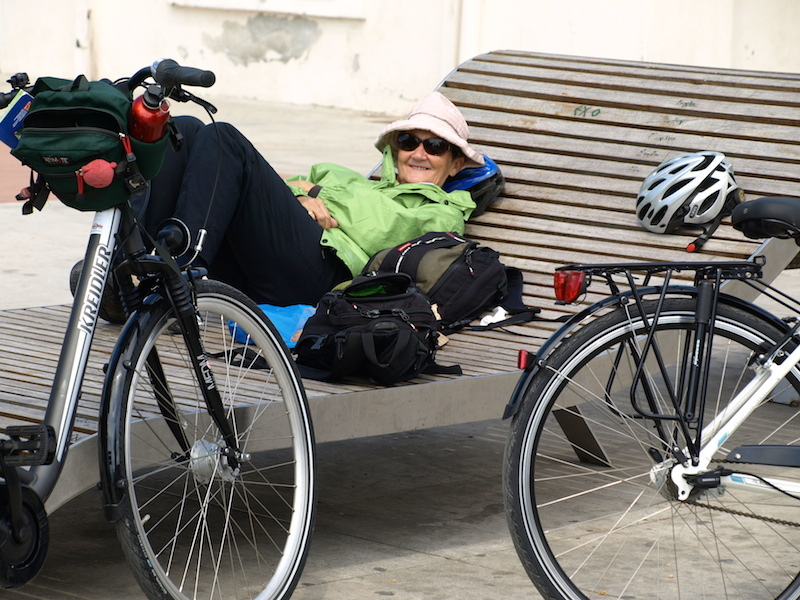 Bev taking rest on one of the beautifully sculptured benches at the port end of Thessaloniki. 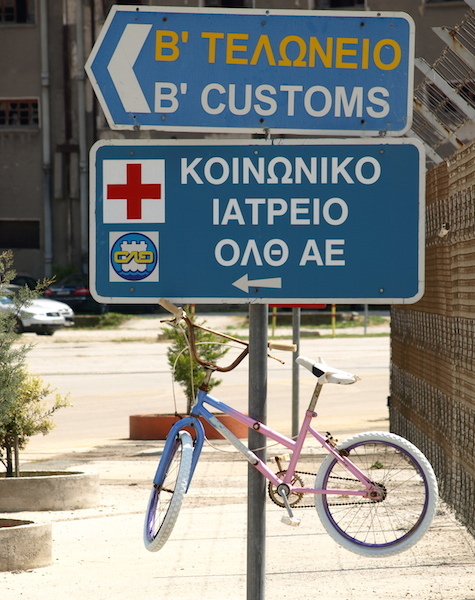 There are few positives relating to the present financial crisis in Greece, but one is bike sales are soaring. 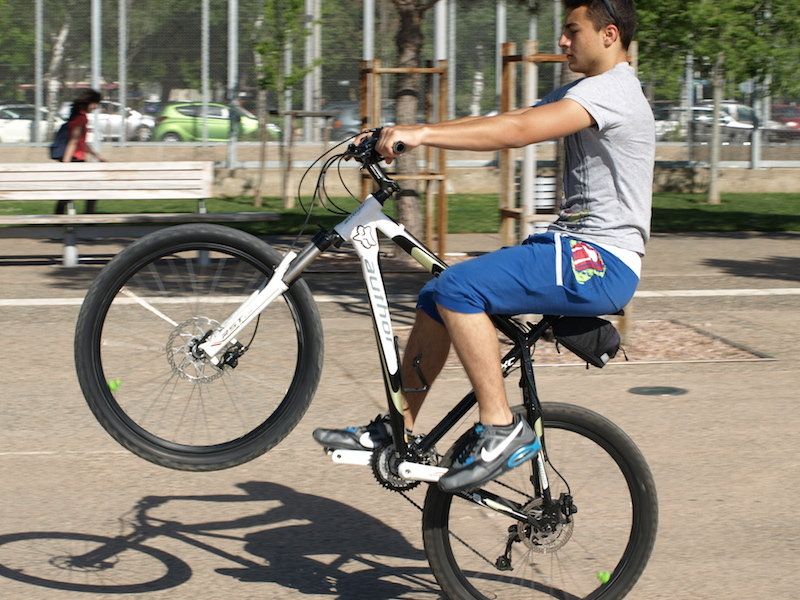 People are turning away from polluting cars and getting on to two wheels. One car sales place I saw sold bikes as well as cars. There is a message there. 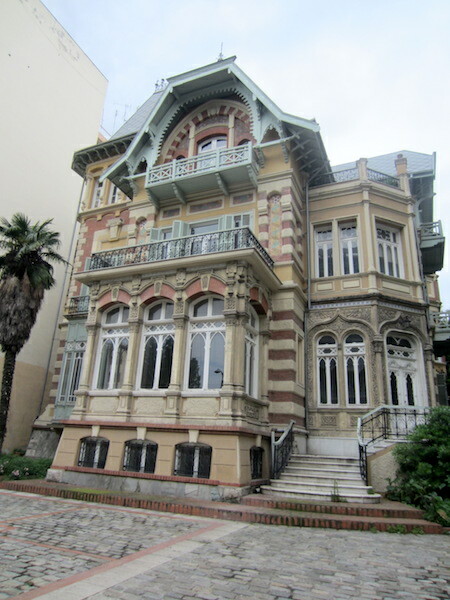 A few kilometres along the foreshores at the Concert House end of the boulevard there is a yacht club and Bev and I decided go look at yachts and have a picnic lunch. The spot we chose to have lunch was within the Sea Scout grounds. Lunch at the Sea Scout camp. After lunch we rode to the yacht club for coffee and there we struck up a conversation with a well-dressed, obviously affluent, gentleman. I commented to Bev that he was not ‘short of a bob’. A ‘bob’ is an Australian slang term for what would be equivalent to a ten cent piece today. A ‘tris’ was a quarter of a ‘bob’ and a ‘zack’ was half a ‘bob’. These coins were replaced by dollars in 1966. I should point out that our friend could not speak English. We conversed by me drawing maps indicating where we had come from. The gentleman telephoned his son who could speak English and we passed the phone backwards and forwards. Part way through the conversation our friend shot off to his car, which happened to be the latest model Mercedes, and brought back a gift of two bread sticks. He was so in awe that a couple of old donkeys like us were travelling like we were that he felt he wanted to give us something. 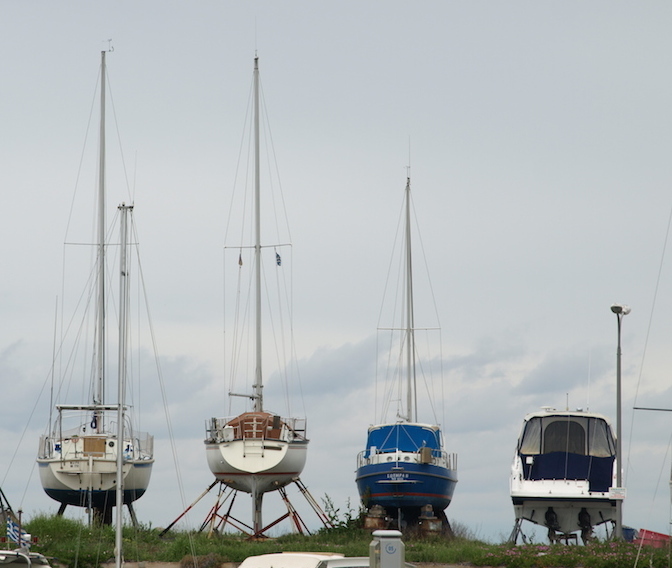 Yachts and a motorboat out of the water for winter. 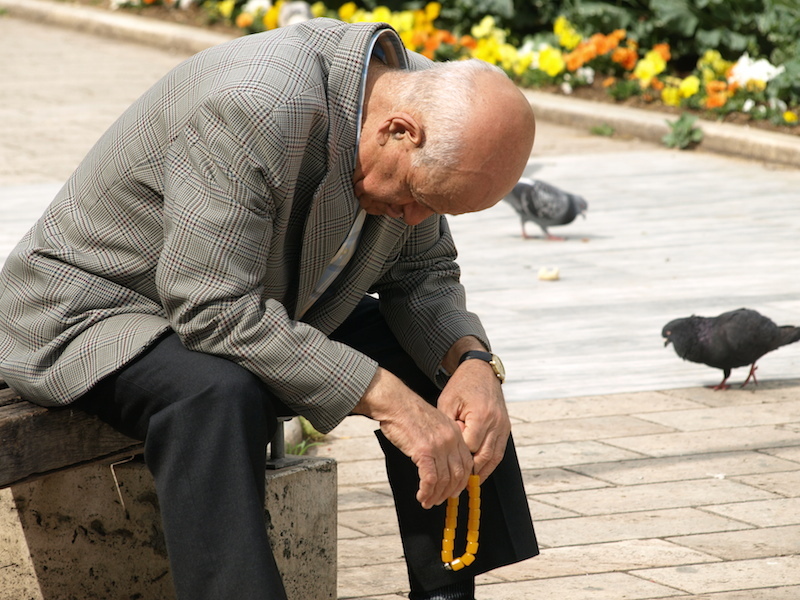 The boulevard is not only a great place to walk, jog, bike ride and fish but it is a good place to doze in the sun and it gives dogs a chance to tell all that ‘this boulevard belongs to us’. 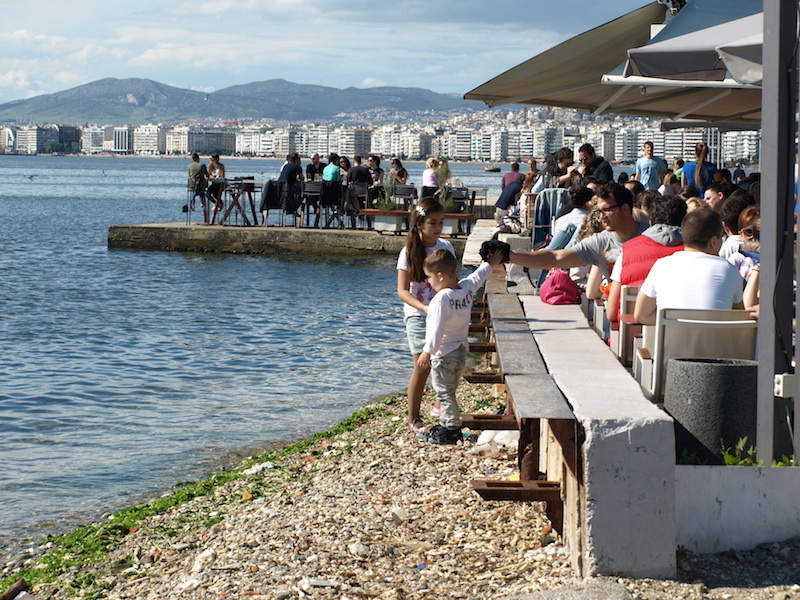 Thessaloniki is a top destination in Greece to visit. Thanks go to our friends, John and Litsa, who we met on Samothraki Island in 2012 and their family, Liza and John and Dimitris and Irini for extending Greek hospitality to us. 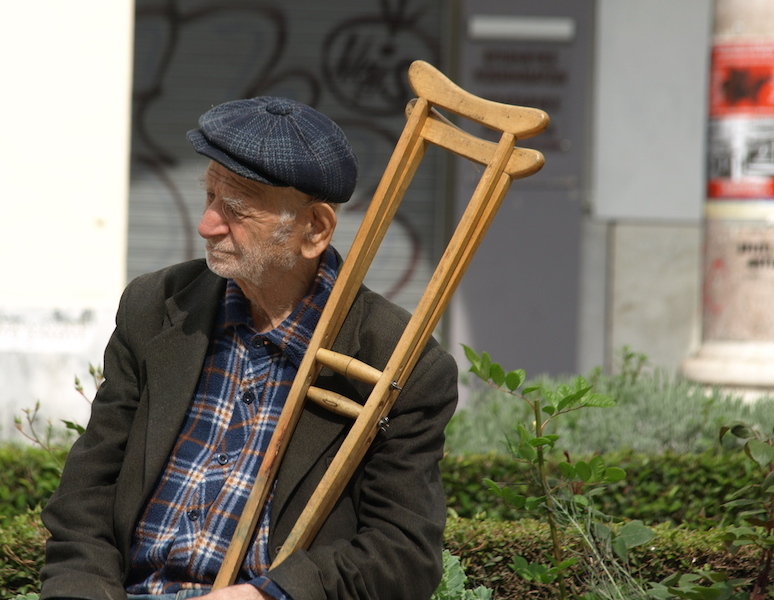 The Greek people may be experiencing hardship due to the financial crisis but Greek people are a resilient lot and they show it by not abandoning old habits. One habit is socialising and they have it down to a fine art. Enjoying the sun, taking in wine, coffee and conversation. Anywhere there is a flat spot by the sea tables and chairs are set up. 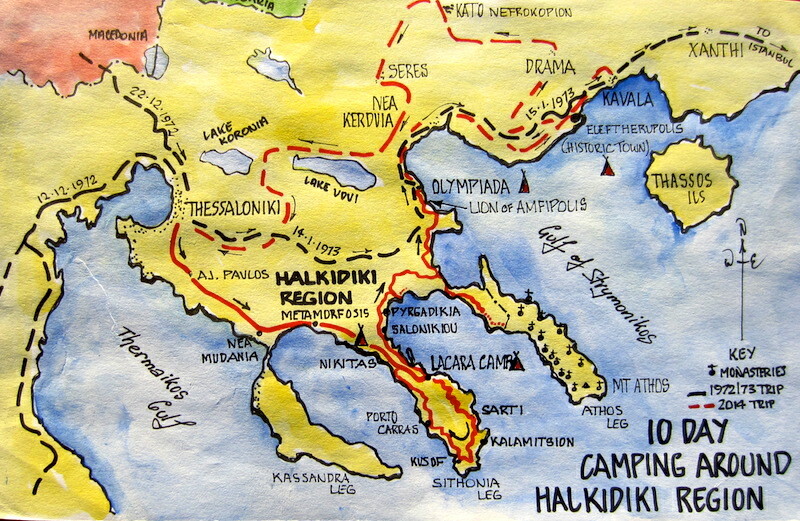 The next posting will relate to our ten day camping trip to the Halkidiki region to the east of Thessaloniki. The map below shows where we went, we hope you enjoy tagging along. 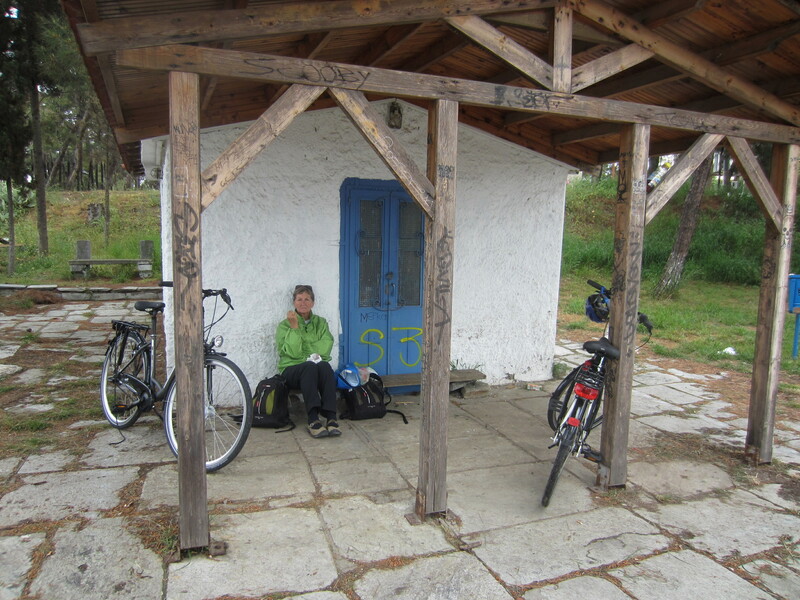 I think I could easily slot into that Greek lifestyle – socialising and generally taking it easy.